I live in Park Ridge, Ill. When visitors want to see the local sights, I’m usually asked to point out the house where Hillary Rodham Clinton grew up. You can easily find it yourself, at 235 North Wisner Street. A number of sources – including the National Portrait Gallery – say that Hillary is a Park Ridge native. She was actually born in Chicago in 1947 and lived in the Edgewater neighborhood until she was three years old. The Rodham family then moved to Park Ridge. Her parents were Hugh Rodham and the former Dorothy Howell. Hugh was in the textile business, Dorothy was a homemaker. Hillary was their first child. She was later joined by two brothers. It was the typical suburban, upper-middle-class household of the baby boom years. If you had to put her in a category, Hillary would be The Smart Girl. She always ranked near the top of her class, and teachers liked her. Her extra-curriculars included student council and the school paper. She was also politically active – but at this stage of her life, she was a conservative Republican. When Hillary started high school in 1961, all Park Ridge “publics” went to Maine Township High School. By the time she reached senior year, the baby boom was really booming, so the district opened Maine South. 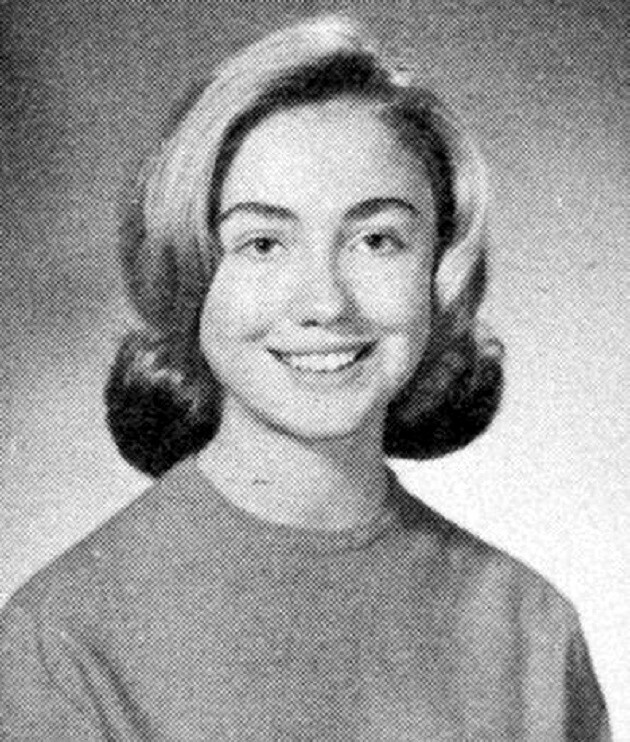 Hillary transferred to the new school and graduated there in 1965. Hillary left Park Ridge to attend Wellesley College. At graduation four years later, the onetime Goldwater Girl was a Democrat. Hillary then went to Yale Law School and met Bill Clinton. The rest is history – and for once, that phrase in not a cliché. Meanwhile, back in Park Ridge, the Rodham family was still living on Wisner Street. They sold the house in 1987 and moved to Arkansas, to be closer to Hillary, Chelsea and Bill. Hugh Rodham died in 1993. Dorothy Howell Rodham died last year. Today you will still meet people in Park Ridge who remember the Rodham family and their famous daughter. Hillary herself has kept in touch with a local circle of friends. Some of them were active in her 2008 presidential campaign. The City of Park Ridge has designated the intersection of Wisner and Elm as Rodham Corner. The house itself is privately owned.